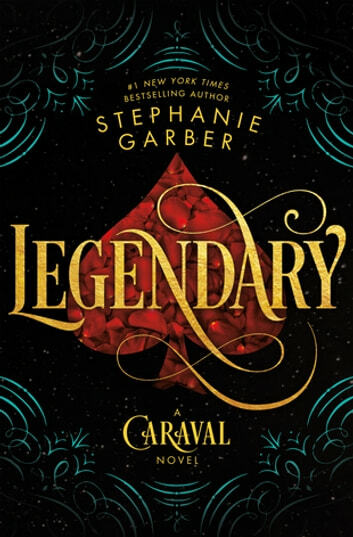 I want to start by saying that I adore Caraval, and I mean no disrespect to Stephanie Garber because I know that she's an amazing author, but I personally didn't love this sequel. One of the things I really liked about the first book was Scarlett and Julian. They both went through great character development, and were interesting to read about. So, needless to say, I was really disappointed that Tella was narrating and Scarlett and Julian were barely mentioned. A lot of this sort of felt like a rewrite of Caraval to me. Another thing is the writing. I've heard a lot of complaints about the writing style in this series. This wasn't an issue for me with Caraval, but in Legendary there were a few random descriptive sentences that I just couldn't make sense of. I don't want to sound too negative, because I really do like this author's work, and still want to read more of it in the future. Just not from this series. 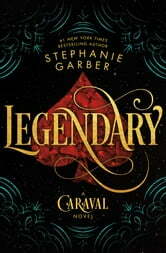 This is only my personal opinion, but I love the mystery of Caraval's ending, and I think it fits perfectly with the feeling of the novel. I feel that it's a spectacular standalone novel, so I personally prefer it without the sequel. If you loved Caravel, this is a must read. It’s as well-written as the first book in the series. Didn’t want it to end. The book has a unique setting and the characters are interesting. I liked the point of view better in the sequel. However, it took me a while to get used to the author’s writing style and repetitiveness. I almost gave up on the first book in the series after getting through the first few chapters, but I’m glad I didn’t.